We can also help you create your perfect bike.Whether you have a shopping list of components and a frameset in mind, or whether you’re open to our suggestions, why not talk to us about putting together a unique bike to suit your needs and budget? We're delighted to have been appointed as a dealer for Argon 18, and would be happy to talk to you about a build based on one of their stunning frames. 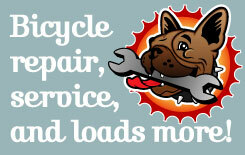 Or if you’re thinking about a new groupset, wheelset or any other hop-ups for your existing machine, give us a call. 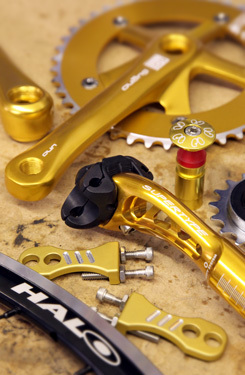 We can obtain the components for you - often at very competitive prices - or you can supply them yourself, but either way we’ll collect your bike, fit your upgrades, and deliver it back to you set up and ready to ride.